On April 27, 2016 Presidential Candidate Donald J. Trump gave what was billed as a major foreign policy speech. 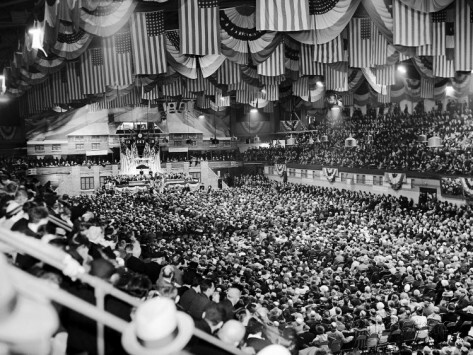 He chose to make the rallying cry of this speech “America First.” Those of us who read a lot about World War 2 immediately recognized the phrase, which was the name of the largest and most influential isolation group in the early years of the European war. Unfortunately, this group was also associated with anti-Semitism and pro-Nazism. Though some have said that the historical associations are meaningless to the average American, they are, nonetheless, chilling, and their use ill-advised. The America First Committee (AFC) was the foremost non-interventionist pressure group against the American entry into World War II. Peaking at 800,000 paid members in 450 chapters, it was one of the largest anti-war organizations in American history. When the war began in September 1939, most Americans, including politicians, demanded neutrality regarding Europe. 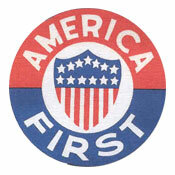 Although most Americans supported strong measures against Japan, Europe was the focus of the America First Committee. The public mood was changing, however, especially after the fall of France in spring 1940. Charles Lindbergh was admired in Germany and allowed to see the buildup of the Nazi air force, the Luftwaffe in 1937. He was impressed with its strength and secretly reported his findings to the General Staff of the U.S. Army, warning that the U.S. had fallen behind and must urgently build up its aviation. 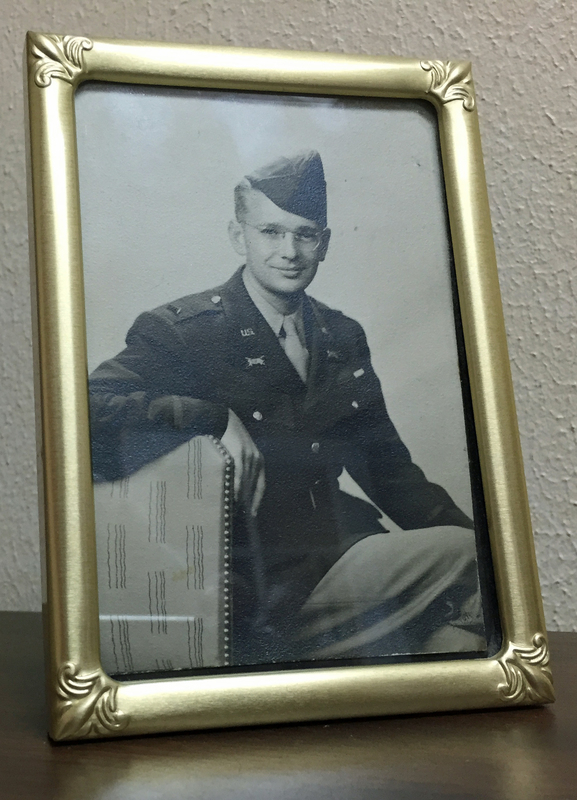 He had feuded with the Roosevelt administration for years. His first radio speech was broadcast on September 15, 1939, over all three of the major radio networks. 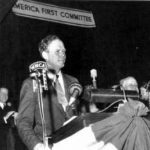 Nothing did more to escalate the tensions than the speech Lindbergh delivered to a rally in Des Moines, Iowa on September 11, 1941. In that speech he identified the forces pulling America into the war as the British, the Roosevelt administration, and American Jews. 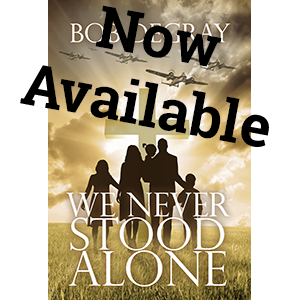 While he expressed sympathy for the plight of the Jews in Germany, he argued that America’s entry into the war would serve them little better. Do you see the veiled threat in that paragraph? Do you see the echo of Nazi propaganda? History teaches us to be cautious with men who combine plain speech and veiled threats.